The good news is your mind is strong this week! 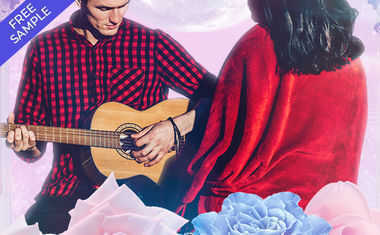 The not-so-good news is love could get complicated... Navigate these waters by reading about all of this week's Astrology below! Get personal day-by-day advice for the week with an 8-card Weekly Forecast Tarot reading now! On Monday Mercury enters Scorpio, where he'll remain until November 12. Expect shrewd powers of perception and razor-sharp intuition to guide you as you make decisions. By Wednesday, Venus and Jupiter will be at a friendly sextile, encouraging you to forgive and forget earlier disappointments. There might even be a generous gift if your sweetheart really needs to prove a point! 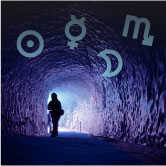 On Thursday the Sun and Mercury are conjunct, highlighting communication. Research and digging for the truth are all favored under this Scorpio influence. Mars squares off with Uranus on Saturday, while Venus is conjunct Saturn. Unexpected diversions might rattle you while you also face reality about a relationship or financial matter. By Sunday, a world of new possibilities opens up thanks to a perfect New Moon in Scorpio, along with Mercury trine Neptune. You'll plant seeds of intense personal transformation and will have a mind that remains inspirational and open to creative solutions.